The United Nations Human Rights Council was created in 2006 to replace the UN Commission on Human Rights. The Council’s mandate and founding principles demonstrate that one of the main aims, at its creation, was for the Council to overcome the Commission’s flaws. Despite the need to avoid repeating its predecessor's failings, the Council’s form, nature and many of its roles and functions are strikingly similar to those of the Commission. 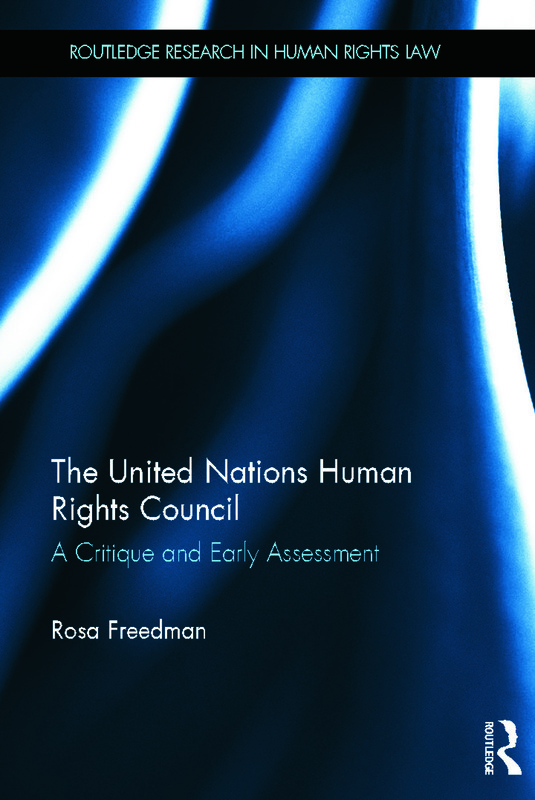 This book examines the creation and formative years of the United Nations Human Rights Council and assesses the extent to which the Council has fulfilled its mandate. International law and theories of international relations are used to examine the Council and its functions. Council sessions, procedures and mechanisms are analysed in-depth, with particular consideration given to whether the Council has become politicised to the same extent as the Commission. Whilst remaining aware of the key differences in their functions, Rosa Freedman compares the work of the Council to that of treaty-based human rights bodies. The author draws on observations from her attendance at Council proceedings in order to offer a unique account of how the body works in practice. The United Nations Human Rights Council will be of great interest to students and scholars of human rights law and international relations, as well as lawyers, NGOs and relevant government agencies.